Video projection mapping projects on the exterior of the IMRC. 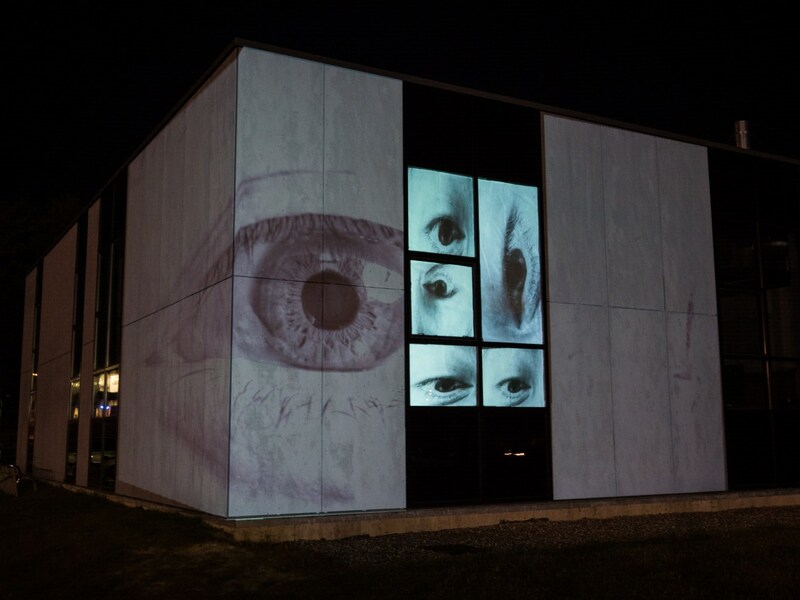 Graduate students in the Intermedia MFA and New Media undergraduate programs teamed up this past Fall semester to create a range of video projection mapping projects on the exterior of the IMRC and inside the Roger Clapp Greenhouses. The following photos feature work from: Paige Bourassa, Matt Burrows, Arturo Camacho, Jason Dignan, Ezra Estey, Kara Foster, Evan Loignon, Erin O’Malley, Frank Omondi, Anna Soule-Williams and Tommy Zani.